Thirty-something single mum, Beth Haldane, has her hands full - with a bouncy young son, a haughty cat, a fringe with a mind of its own, and bills to pay. 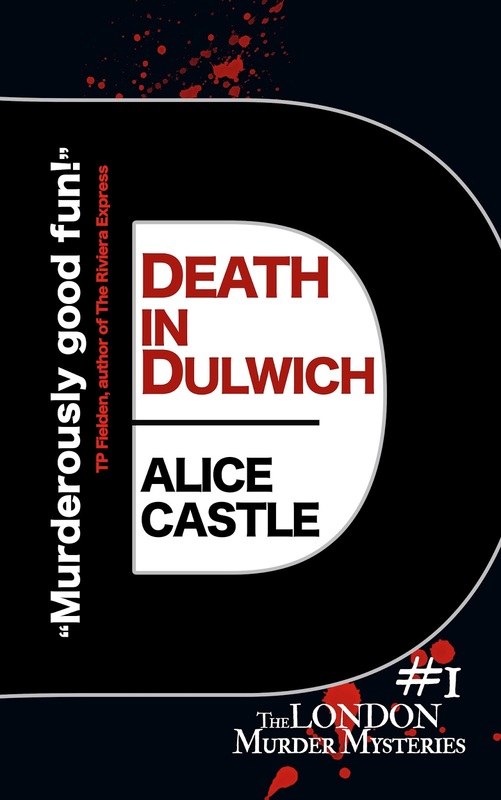 She loves her little home in plush London suburb Dulwich, but life here doesn't come cheap. She is thrilled to land the post of archivist at top local school, Wyatt's, though she secretly fears she's not up to the job. But even Beth couldn't have imagined how badly things could go, until she discovers a hideous crime and finds herself prime suspect. This book was a very enjoyable read with a great mixture of mystery and humour. I enjoyed the modern day setting and the location of the novel and I really enjoyed the main character Beth. It's extremely easy to read and a great book for the winter evenings that will soon be approaching! This is a perfect cozy crime novel. 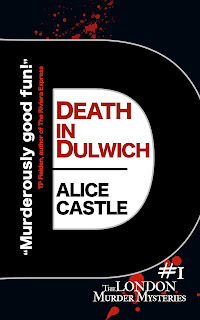 It has all the conventions and traits that the reader wants from a cozy crime novel but with added appeal that it is set in contemporary London. 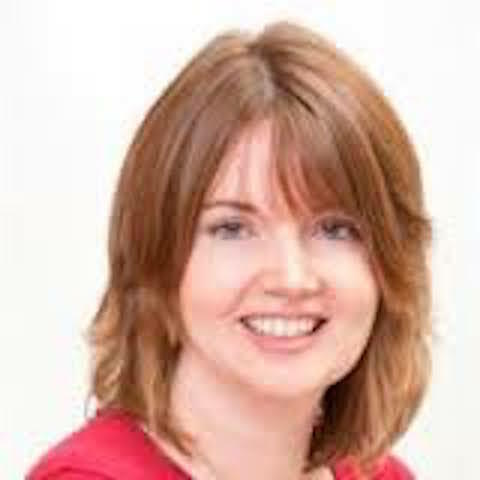 Beth is a single parent trying to keep up with the pressures and expectations of her peer group, loving her life in Dulwich but constantly feeling the strains of financially keeping up - or appearing to keep up - with the lifestyle enjoyed by most of the residents there. 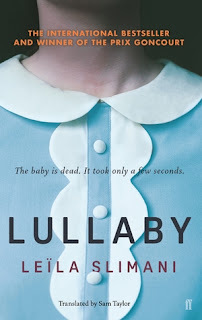 The pace of the novel is racy enough for us to enjoy the building suspense and tension surrounding the murder, but also gentle enough to enjoy the reflections and digressions about single parenting, motherhood and the life of a thirty something woman. The opening was very entertaining and, as with most of the book, reveals the humourous tone of the author's writing. "'Fark!' the woman shouted, suddenly, catching sight of the spreading pool of blood and skittering sideways with the trolley. There was a clatter of china and the cigarette fell from her lip, coming to rest about a metre from Dr Jenkins' inert foot. It said a lot for the dinner lady's respect for the dead that she didn't immediately pick it up and pop it back into place." Beth, who has the very unfortunate experience of discovering the dead body of Dr Jenkins as she arrives for work at the prestigious school, then finds herself in the frame for the murder. Beth is no sleuth but finds herself trying to solve the mystery as quickly as she can before she is framed for the crime herself. Beth's character is so likeable and feels very authentic as she finds herself suddenly sitting in police interviews trying to answer questions that seem to be leading her further and further into a corner. As she sets out to clear her name she gets to know the rest of the members of the school community, a cast of characters who are all colourful, well portrayed and dutifully crafted to distract us, surprise us, entertain us and create plenty of suspense. This book works because it is full of all the great 'what ifs' that make it compelling to the reader. What if you had just landed the perfect new job but on your way to your office you find a dead body? What if all you are trying to do was be a good parent to your son and now this is jeopardised? What if you are suddenly thrown into the role of amateur sleuth? What if you are operating in a school which prides itself on its spotless image and wants to ensure that their reputation and their history is preserved even at the cost of the investigation? "It was all very well to try and keep things in-house; [Beth] understood the school's need to keep a lid on wild speculations and accusations that could damage its reputation and, heaven forfend, make it less desirable in parents' eyes. But this was murder." Castle's creation of Beth as an amateur sleuth is very well executed and she is a very likeable character. As with all well written protagonists, she faces plenty of dilemmas and difficult choices as she adapts to her new role. Beth's dilemma is whether she should do as the school wish and keep things contained and 'sanitised' or whether she should follow her own instinct which is to involve the police and stop the killer who is roaming at large within their own community. She also has the added complications and responsibilities of parenting Ben and the lonely feeling that she is different from the other parents in her peer group as she has to fulfil both roles as mum and dad, be both on the sidelines at football and pushing the swing in the playground. 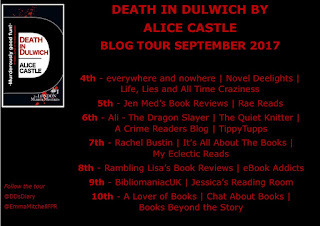 Through Beth, Castle also has a chance to capture some observations about modern day parenting, particularly in the affluent area of Dulwich, including some witty remarks about "4x4s backing perilously down the street" looking like a "camel train swaying into ungainly reverse" and the irrational fear of the knock on impact of the children's late night might lead to reduced school performance, failing entrance exams and a life as a dustman rather than a hedge fund manager! All in all, this is an enjoyable read. Easy to pick up, easy to read, plenty to engage with, fun characters who are easy to imagine, well written dialogue and a very real sense of time and place. I recommend it! 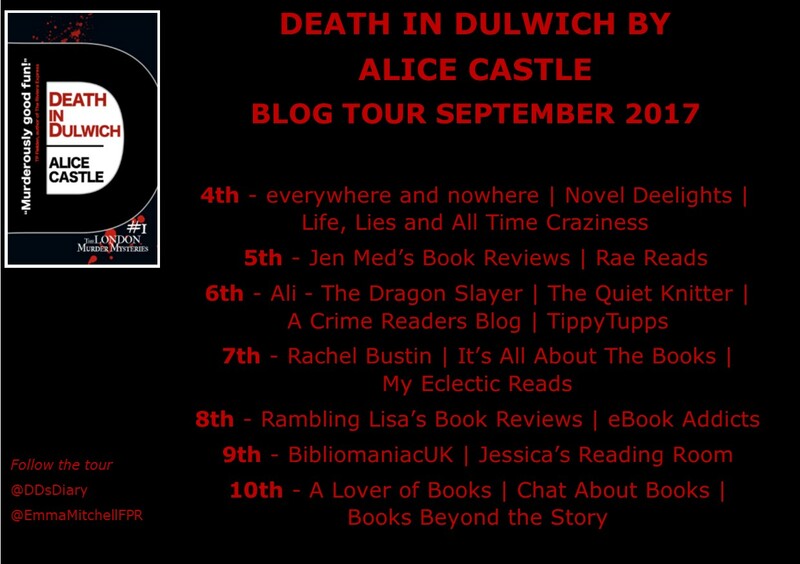 And as it is part one, I look forward to reading the next instalment on the London Murder Mysteries!